Pray Big for your Child. 1 Timothy 3: 14-15 “I hope to come to you soon, but I am writing these instructions to you so that, if I am delayed, you may know how one ought to behave in the household of God, which is the church of the living God, the pillar and bulwark of the truth.” Jesus left us a Church to guide us in Truth. He chose Peter as the first Pope when He said, “You are Peter, and on this rock I will build my Church, and the gates of hell will not prevail against it” (Matt. 16:18). And then, this Church – the Catholic Church, decided what books belonged in the Bible in the 4th century. It was the authority of the Catholic Church that decided what books were inspired and belonged in the Bible. (Think about this – something “outside” the Bible determined what books belonged in the Bible.) The Catholic Church came before the Bible. This does not mean that we think other religions and Christian denominations do not contain any truth, for they do. 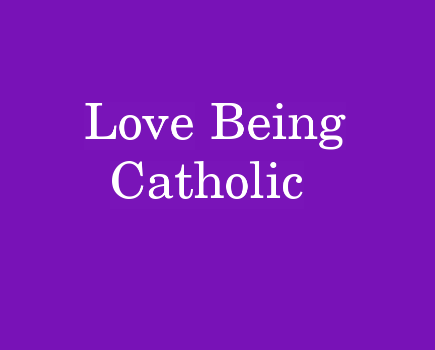 But the Catholic Church, since it was founded by Jesus, contains the fullness of truth, so we think it is very important to belong to the church that Christ founded, and share our faith with others. There are many, many things all Christians have in common that we should celebrate – mainly our belief in Jesus Christ. Many say as long as we agree on the essentials it’s all good. But who decides what is “essential”? The Catholic Church has existed for 2,000 years, despite constant opposition from the world. This is testimony to the Church’s divine origin. It must be more than a merely human organization, especially considering that its human members—even some of its leaders—have been unwise, corrupt, or prone to heresy. Any merely human organization with such members would have collapsed early on. The fact that the Catholic Church is today the most vigorous church (and the largest, with about a billion members) is testimony not to the cleverness of the Church’s leaders, but to the protection of the Holy Spirit. 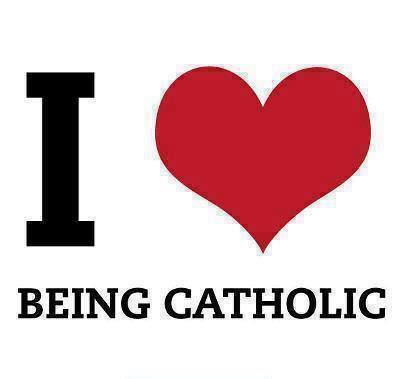 It’s important to know history, know why we are Catholic, and embrace the beauty and truth of our faith. So many people, including many protestant pastors, converted to the Catholic Church after studying Church history, particularly regarding the issue of authority. Two great books to read on church history are: “Four Witnesses”, by Rod Bennett, and “Where we got the Bible: Our debt to the Catholic Church” by Henry Graham. Two great sites that have helped many people on their journey to the Catholic faith are Catholics Come Home –www.catholicscomehome.org. and The Coming Home Network – www.chnetwork.org. The Catholic Church, founded by Christ, contains the fullness of Truth. 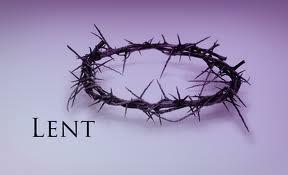 Be humble and grateful as you embrace the beautiful gift of our Catholic faith. Never stop seeking truth. Be thankful for all seven of our sacraments. 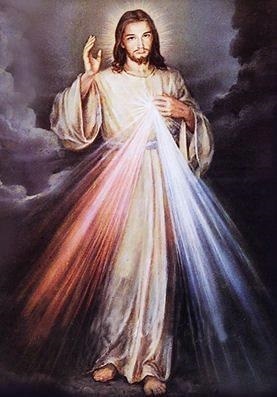 Pray every day and develop a personal relationship with Jesus and our dear blessed mother, and pass on your faith and traditions to your children and grandchildren. 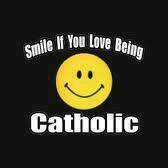 Let us all spread the joy and beauty of our Catholic faith! The Rosary is not a prayer of vain repetitions, but very scriptural, and a beautiful meditation on the mysteries of the life, death and resurrection of Jesus through the eyes of His mother. The Rosary is not Mary-centered but Christ-centered. Each bead you touch is like holding the gentle hand of His mother and walking through the gospels, as she leads you closer to her son. Nobody loved Mary more than Jesus did. We honor Him more by loving his mother. Mary’s soul always magnifies the Lord. If you want to grow closer to Christ, and develop a deep personal relationship with Him, pray the rosary.